Understanding and meeting the customer's needs is Rona's number one priority when working with a buyer or seller. In today's market, being a home buyer or seller can be stressful; time is precious and people want the best solution and value. Rona is there to help take away the stress and make it an enjoyable and smooth transaction for you. Her ultimate goal is to find the perfect home for your needs and keep within your budget. Whether you are buying or selling for the first or tenth time, she is here to work for you and to guide and advise you. Rona has lived in Westchester for 30+ years, and has raised her family here. Her education includes a B.A. in psychology, with a minor in math and computer science from SUNY Albany. After working for years w ith computers, she decided to go with her passion for homes. Marrying into a construction family gave her new insight and knowledge. 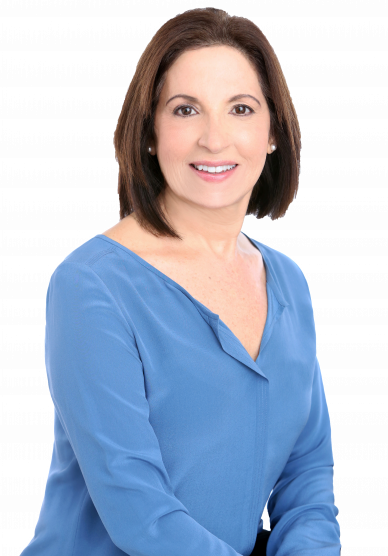 She has been working as a full time agent since 1995, and would like to offer her years of experience to help you with your real estate needs. You will not be sorry; you will see why her customers come back to her time and time again. To contact her: Direct 914-833-5984, Cell 914-806-0213, Email rona.calogero@juliabfee.com. Her office is located in the heart of Larchm ont Village at 1946 Palmer Avenue, Larchmont, NY 10538. We were so lucky to have met Rona when looking for a home. She was amazing. From her in-depth knowledge of the area and the market, to her disciplined, diligent, yet warm and no-pressure approach. She understood exactly what we were looking for and alerted us immediately when options came on-line. She was there for us in big ways throughout the buying process. We were so lucky to have met Rona when looking for a home. From her in-depth knowledge of the area and the market, to her disciplined, diligent, yet warm and no-pressure approach. She alerted us immediately when options came on-line. She was there for us in big ways throughout the buying process. I confidently recommend Rona to assist with your home purchase! Rona worked with my wife and I on 2 home purchases. Rona was an accessible, knowledgeable and committed partner! Rona is wonderful to work with. She is a person of high ethics and values, and most importantly she is a great listener! We have only the highest praise and recommendation for Rona Calogero. In the purchase of our home, we never felt rushed or pushed to go in any direction on any of the homes we viewed. Her vast knowledge of market analysis, contractors, financial options, legal issues, etc. showcases that she is best in the industry.